The cationic photo-responsive polymeric micelles (mPEG-b-p(DEMA-co-MMA-CL)) with light-switchable cross-linker were designed and fabricated by atom transfer radical polymerization and quaternization. These micelles were well dispersed spherical with positive charge. The efficient release of encapsulated contents can be triggered by light irradiation. 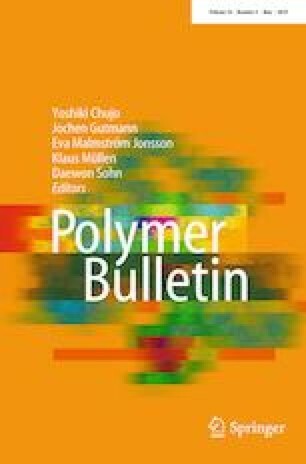 No significant toxicity was observed of copolymer and its photolysis residues at concentrations up to 250 μg/mL. The antitumor activity of camptothecin (CPT) in micelles demonstrated that light triggered the release of CPT, which dramatically improves the cytotoxicity after UV irradiation. The online version of this article ( https://doi.org/10.1007/s00289-018-2488-6) contains supplementary material, which is available to authorized users. This work was financially supported by Natural Science Basic Research Project of Shaanxi Provincial Department of Science and Technology (2018JQ8041), the Association of Young Supporting Project of Shaanxi (20170410), the Provincial Key Discipline Construction Project of Pharmacy of Xi’an Medical University (2016YXXK03), the National Natural Science Foundation of China (81302706), Natural Science Basic Research Program of Shaanxi (2017JM8124) and the Shaanxi Provincial Education Department Project (17JK0663).